This seat allows you and your child to explore the beauty of Anna Maria without the hassle of finding out what to do with your baby or toddler. Just strap them in and you’re ready to cruise! The child’s seat comes already attached to a 26 inch unisex bike taking the stain from you have to. 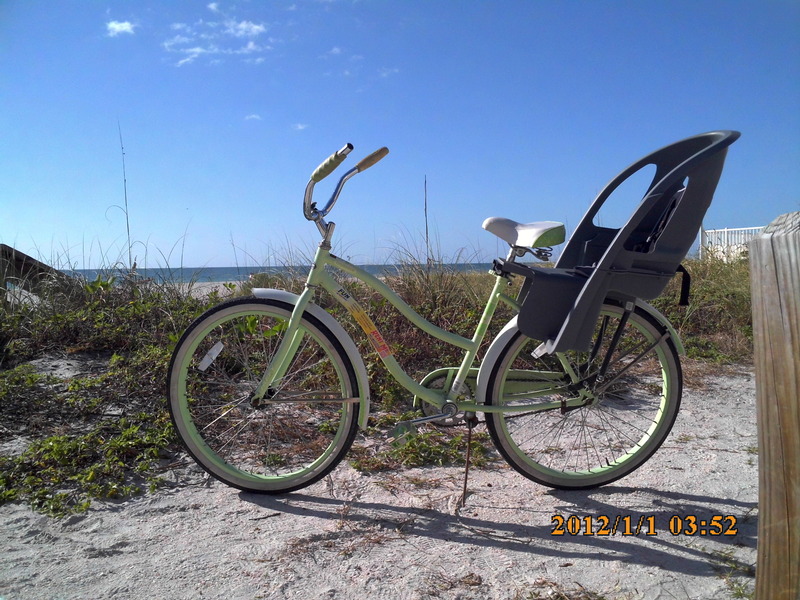 For the safety of our customers and their families the child’s seat can only go on our bike. The child’s bike seat can hold up to 25 pounds with its three-point harness, padded overhead, restraint bar, and foot straps.